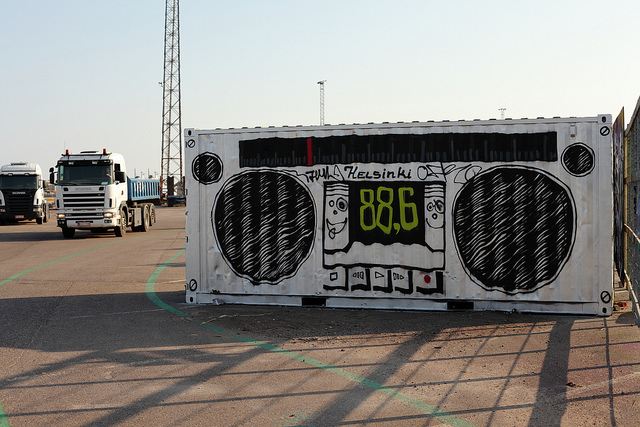 A shipping container painted as a Radio Helsinki boombox. Credit: Elektrojänis, a Radio Helsinki supporter. So remember last week when we mentioned that Radio Helsinki’s equity crowdfunding campaign was something you should know about? It seems Forbes beat us to it. See this thoughtful, interesting article by Esha Chhabra about Radio Helsinki’s campaign that raised more than €350,000 (about $470,000) to keep an independent Finnish radio station alive. Since it was an equity crowdfunding campaign, Radio Helsinki now has 1,700 shareholders, according to the article. They’re shareholders, yes, but Radio Helsinki is an indy radio station that focuses on issues like race, immigration, civic service and the discovery of new music, issues other news outlets devote less time to or downright ignore. This is the third big equity crowdfunding campaign in journalism we’ve reported on this year. In early 2015 El Español raised €3.5 million euros, the largest single crowdfunding campaign to date to make a news startup possible, and in mid-2015, Positive News in London brought in more than €250,000.